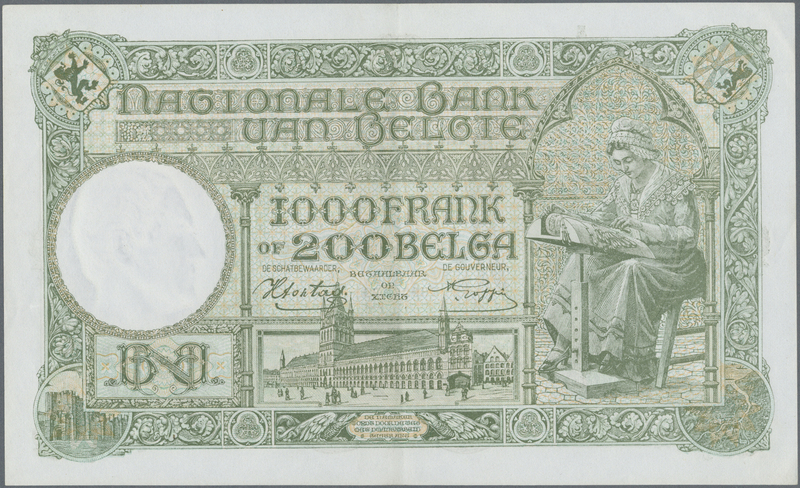 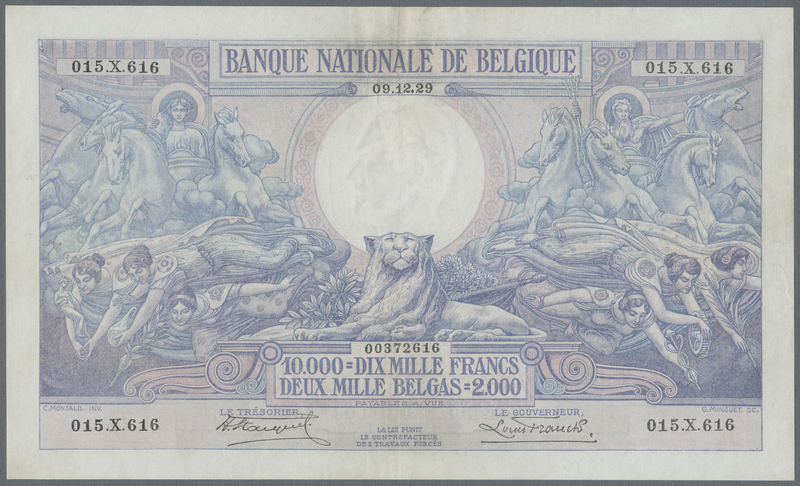 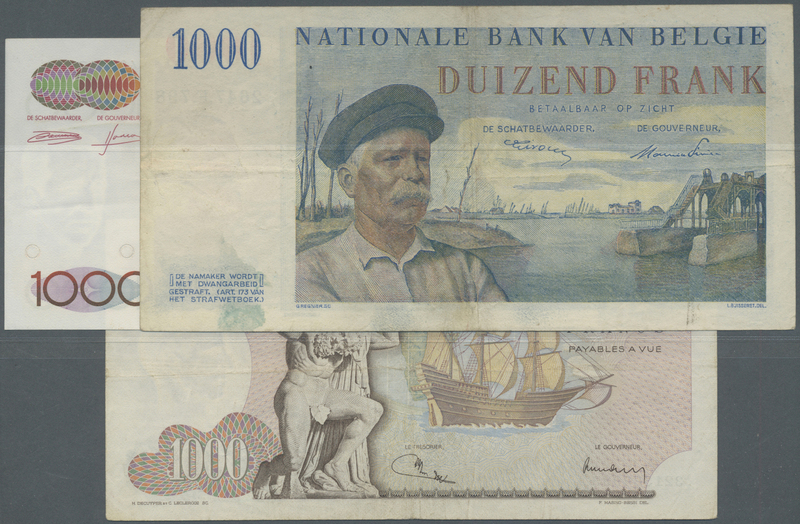 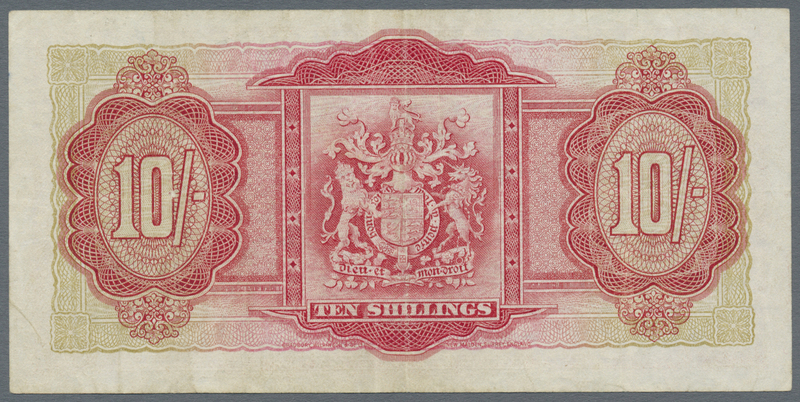 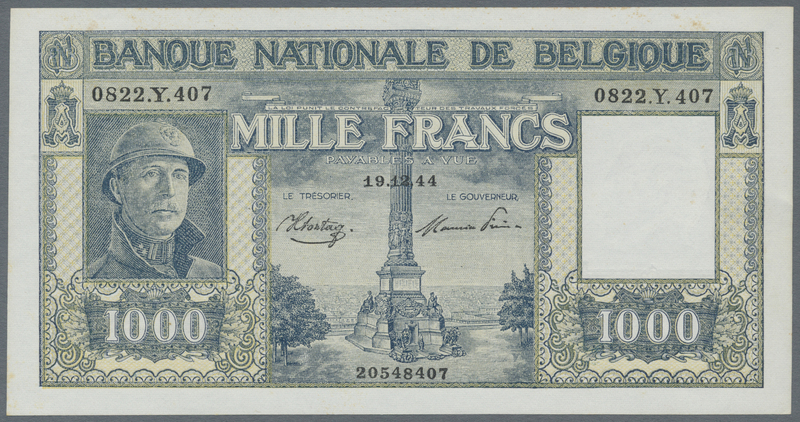 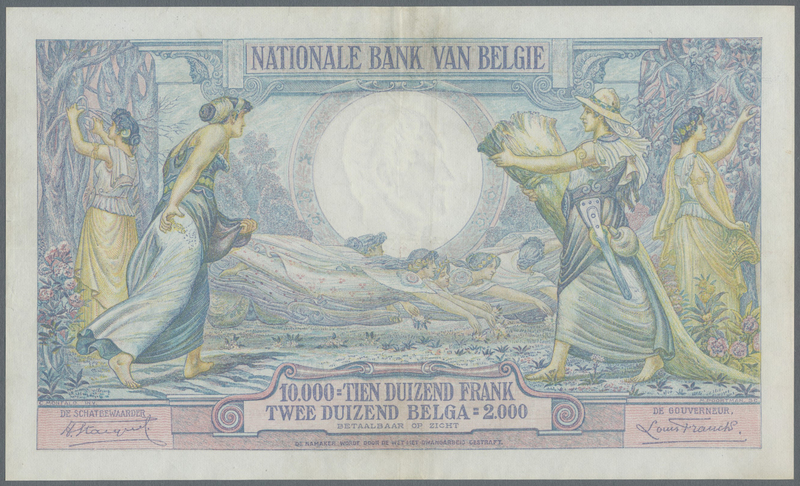 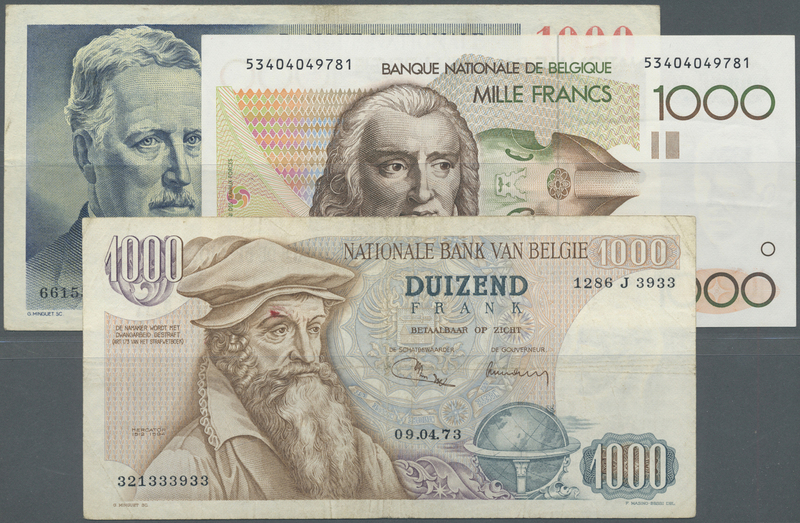 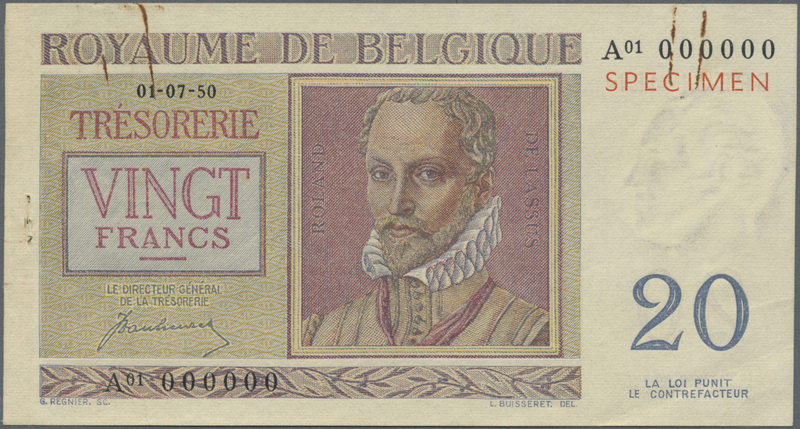 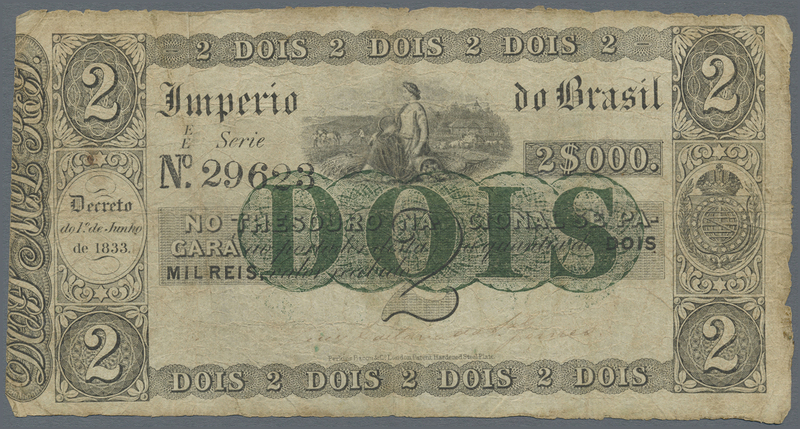 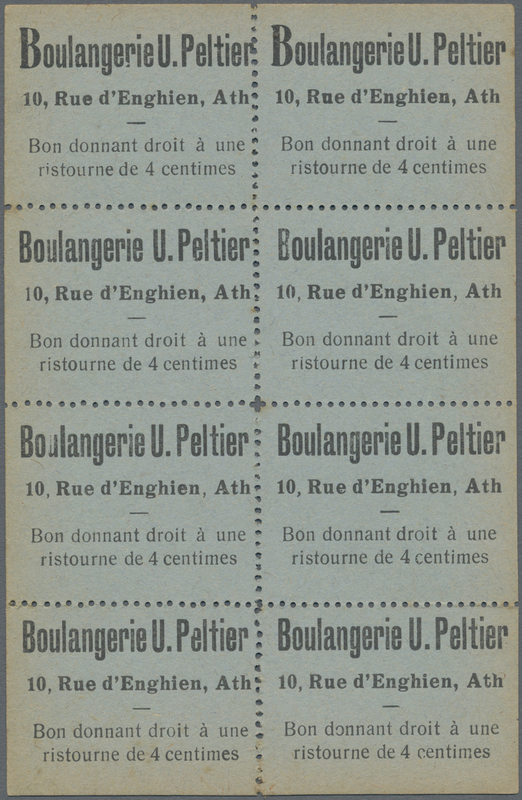 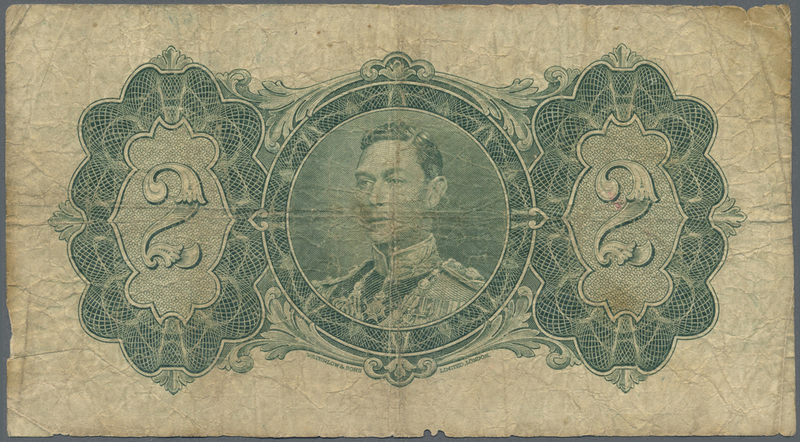 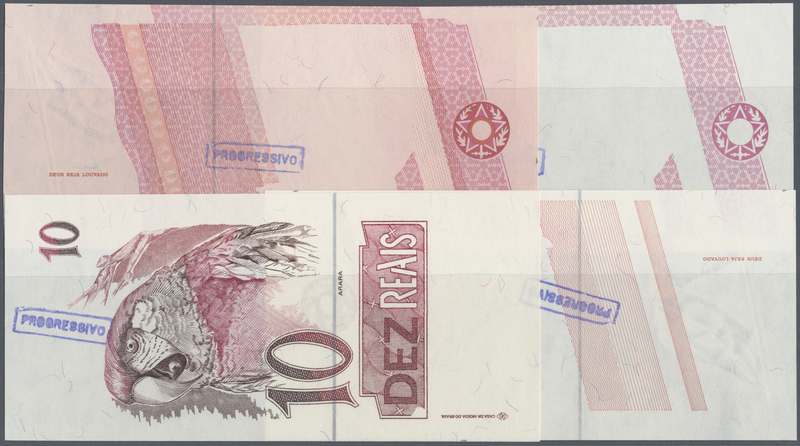 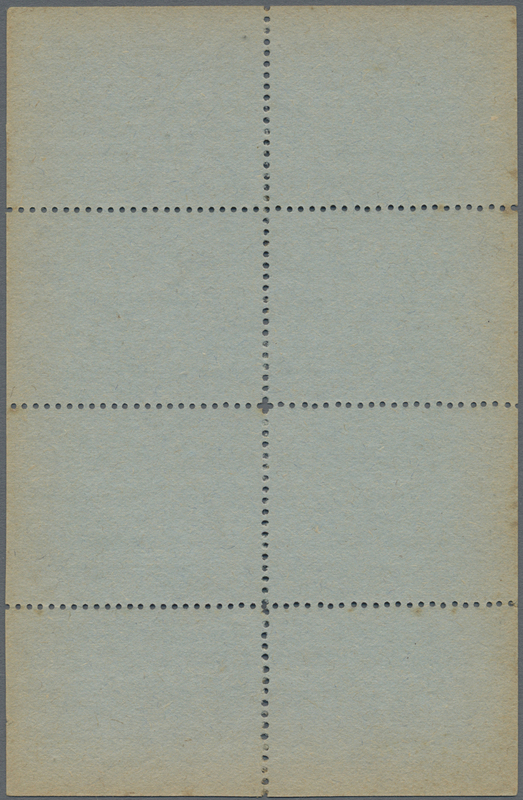 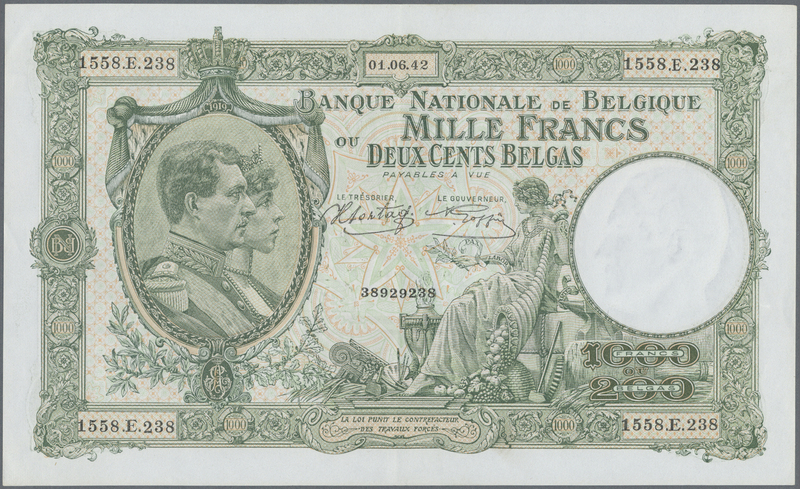 1110 Pick 110 large size note 1000 Francs = 200 Belgas 1942 P. 110 in nice condition with only a light center fold and minor corner folds, no holes or tears, not washed or pressed, no repairs, crispness in paper and original colors, condition: XF. 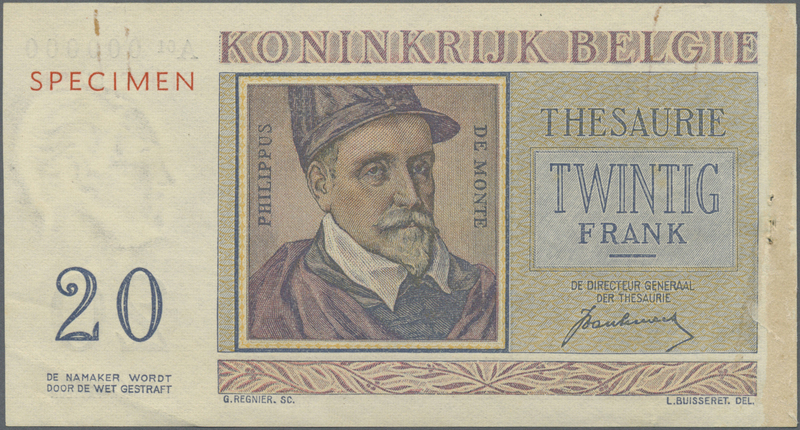 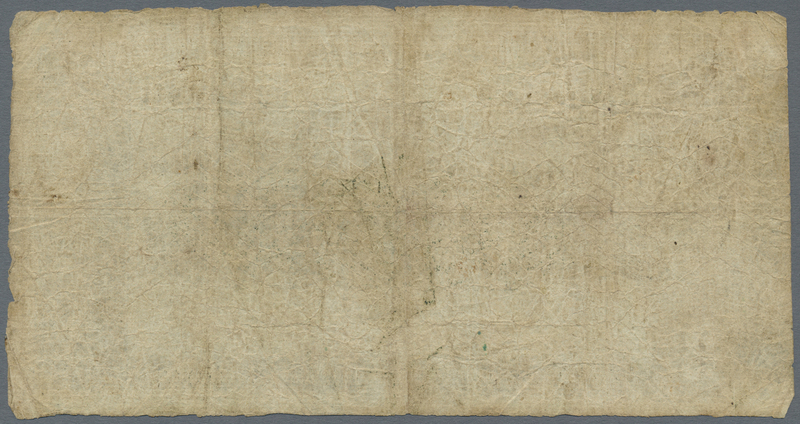 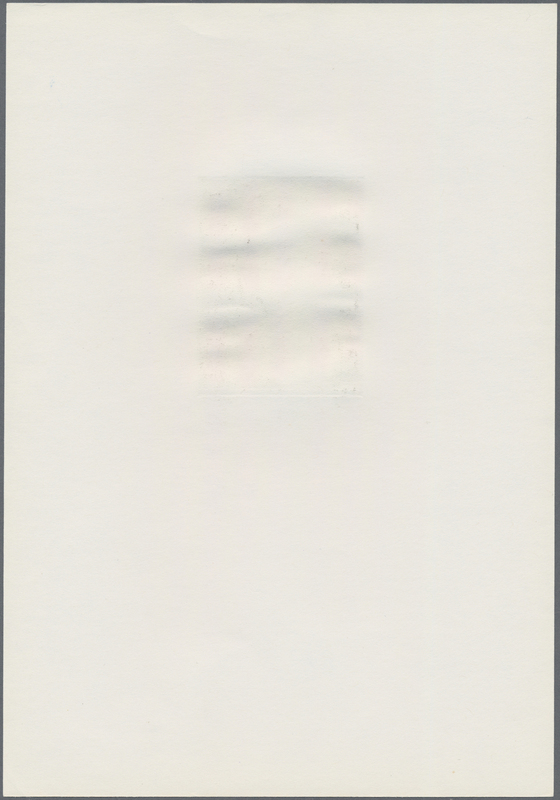 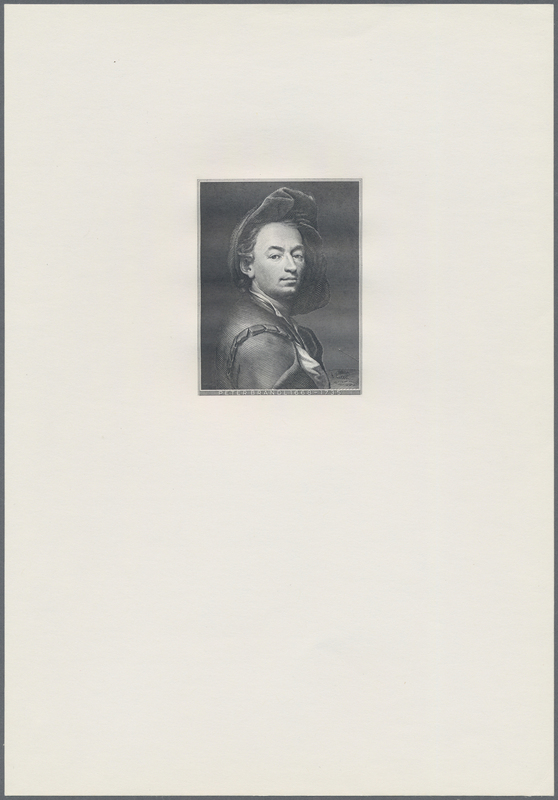 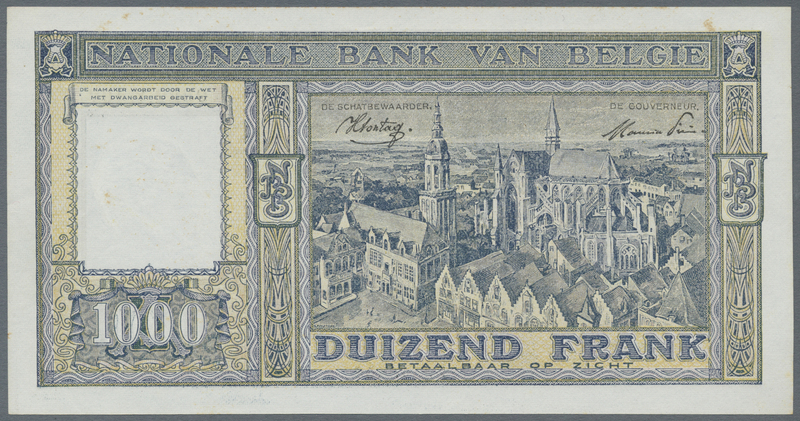 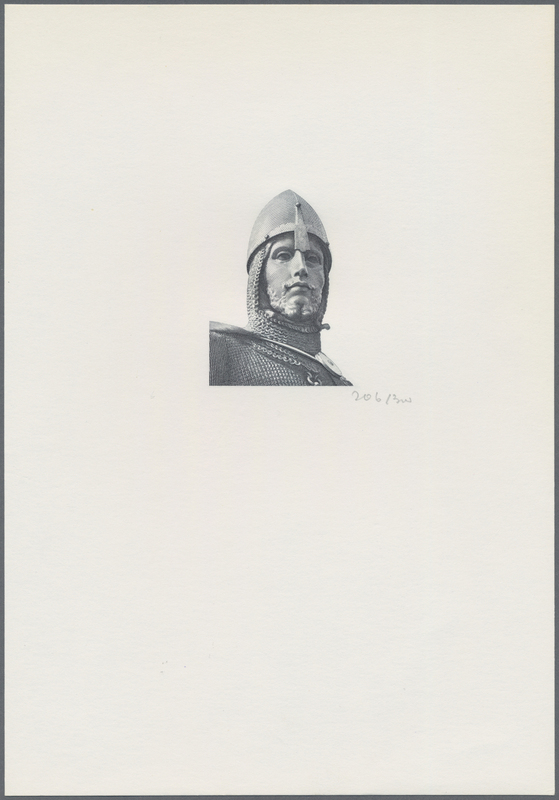 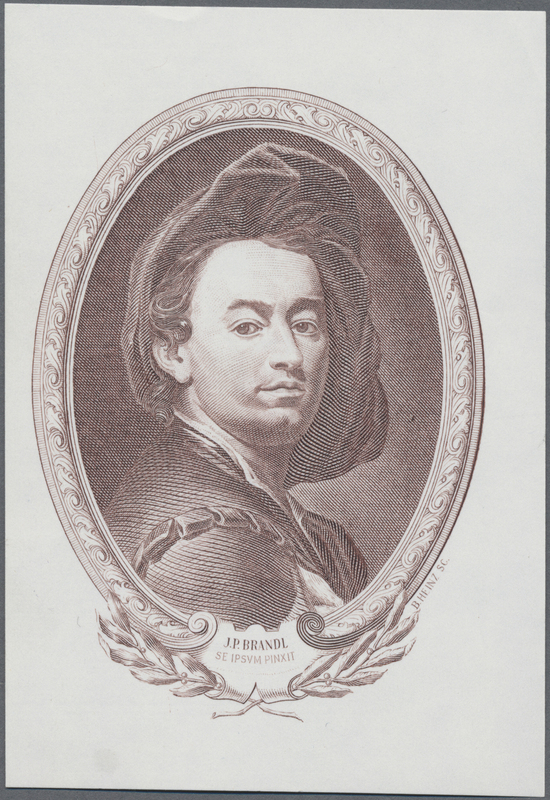 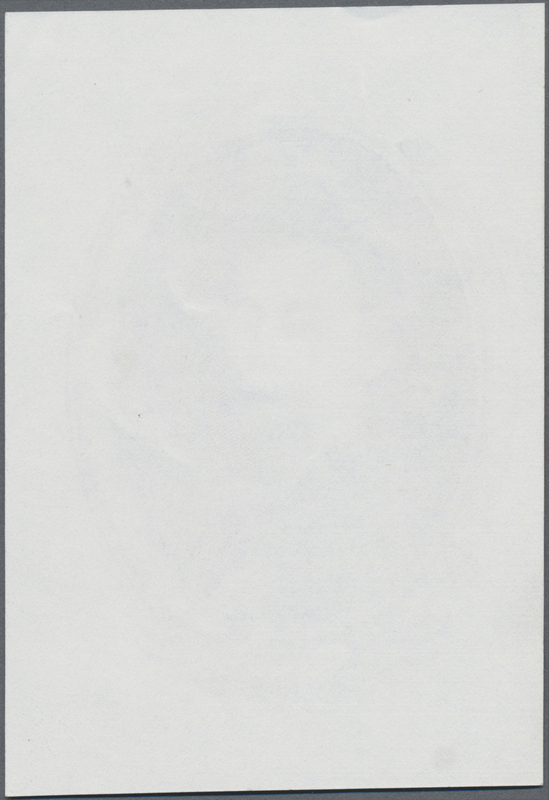 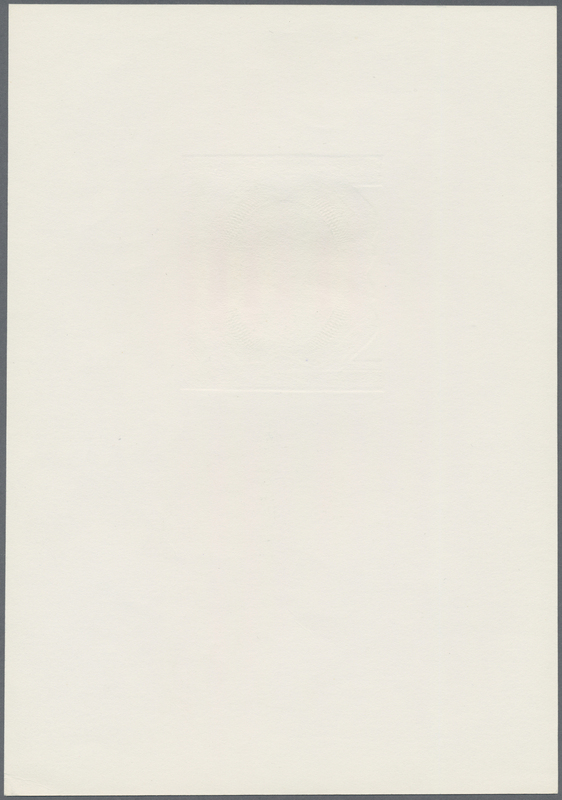 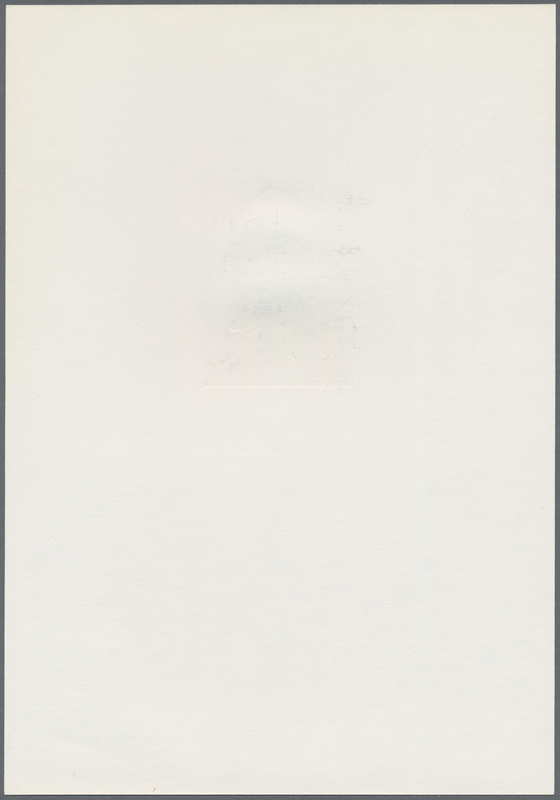 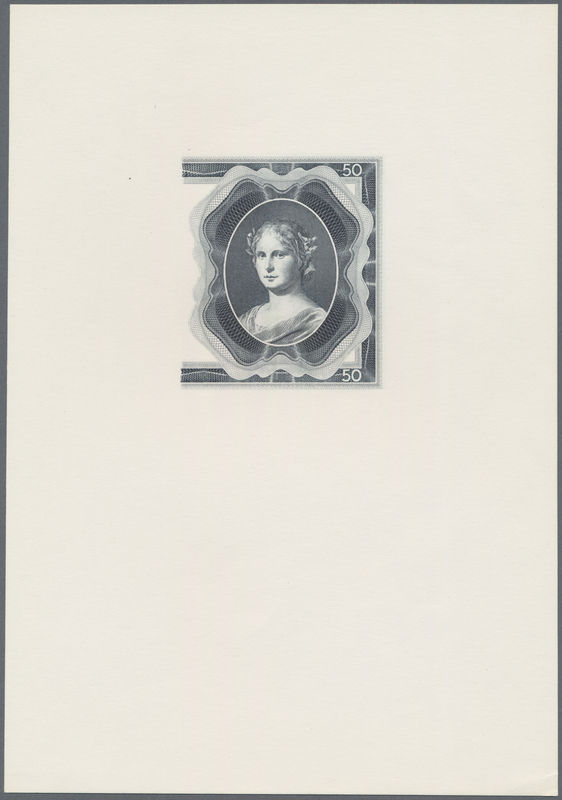 1114 Pick 145 5000 Francs ND P. 145, no visible folds in paper but pressed, still strong paper with crispness and original colors, no holes or tears, condition: pressed XF+ to aUNC. 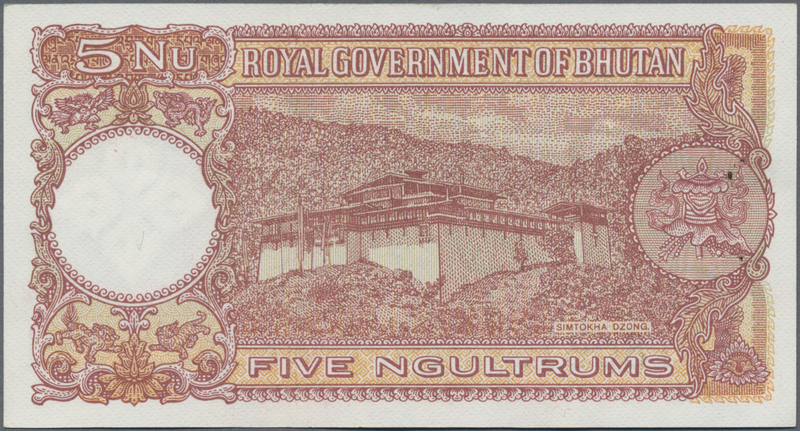 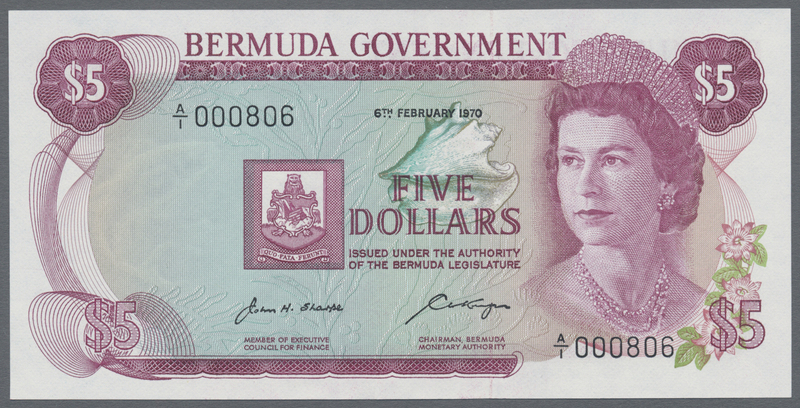 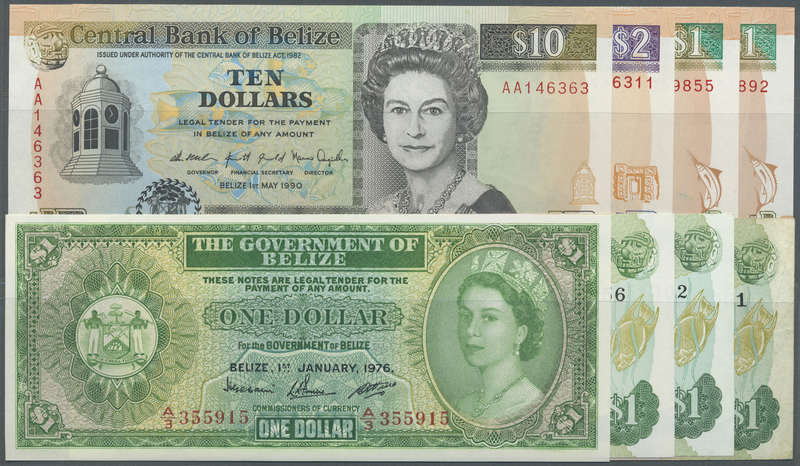 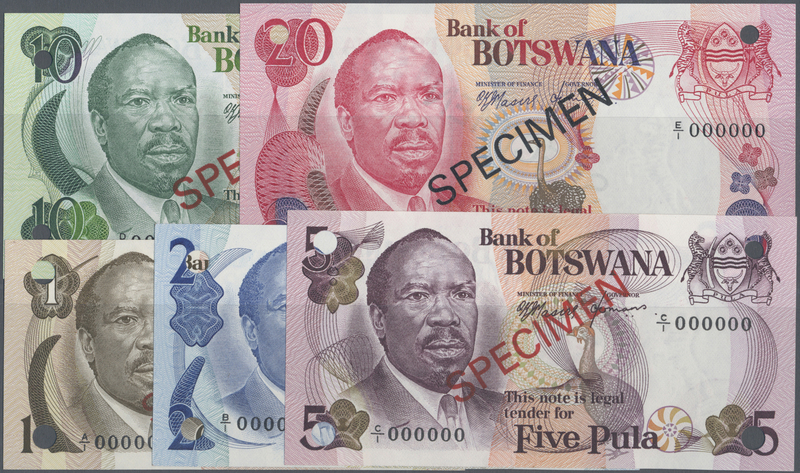 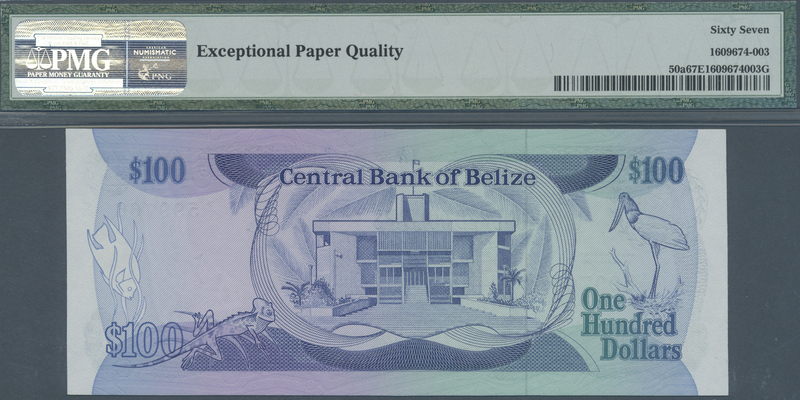 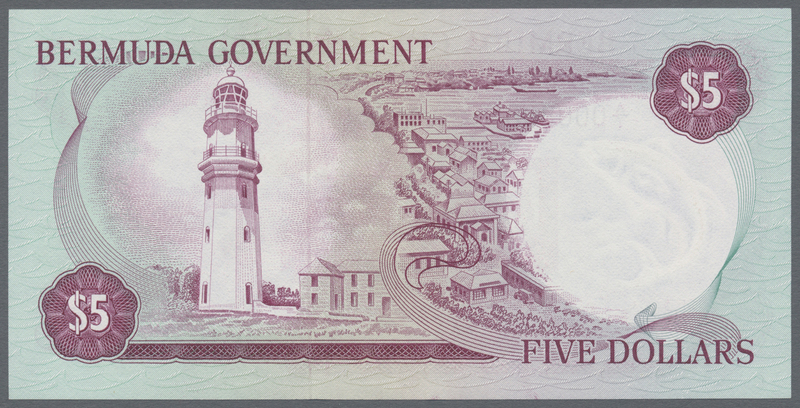 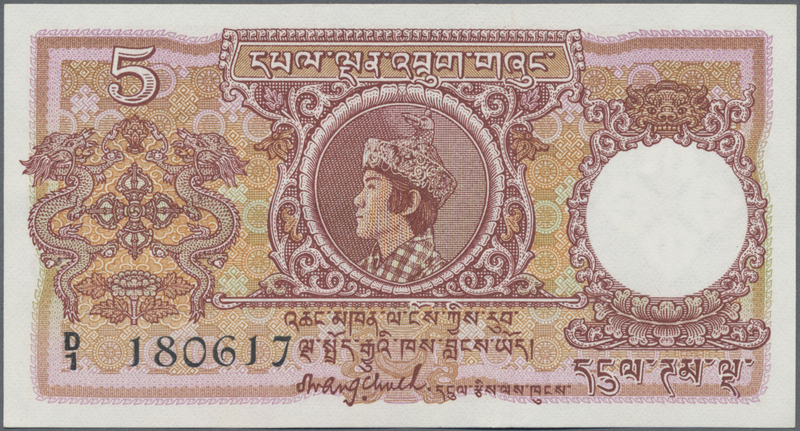 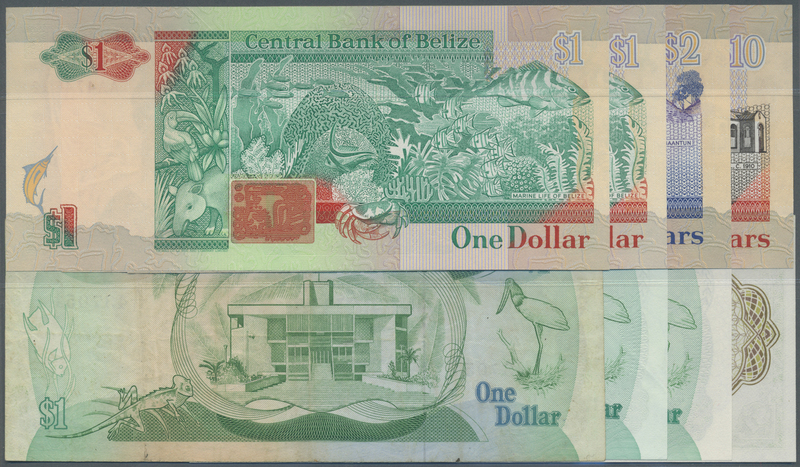 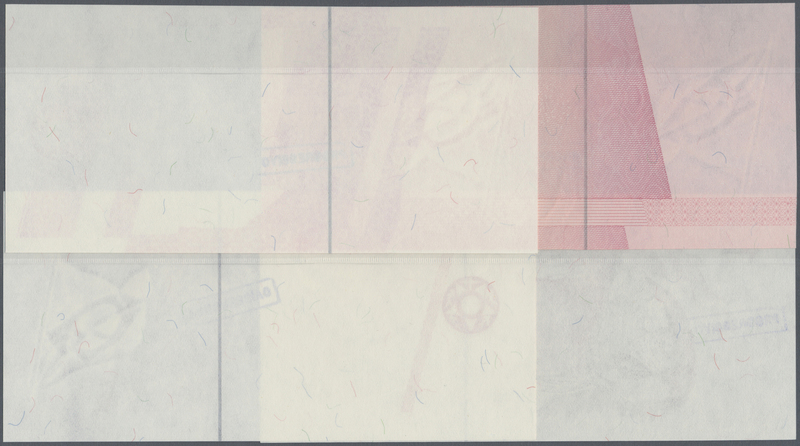 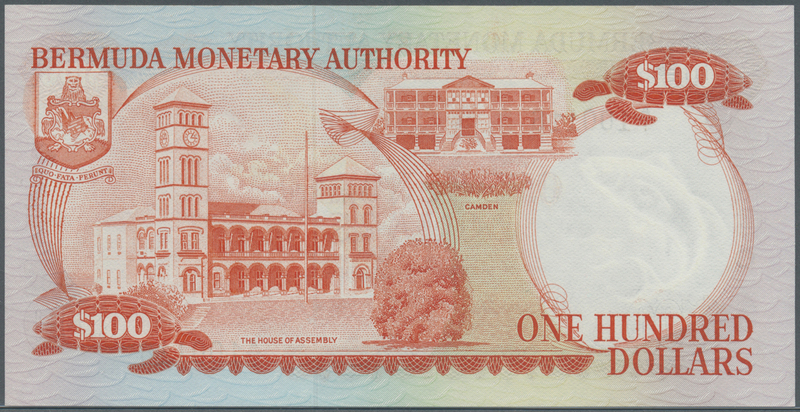 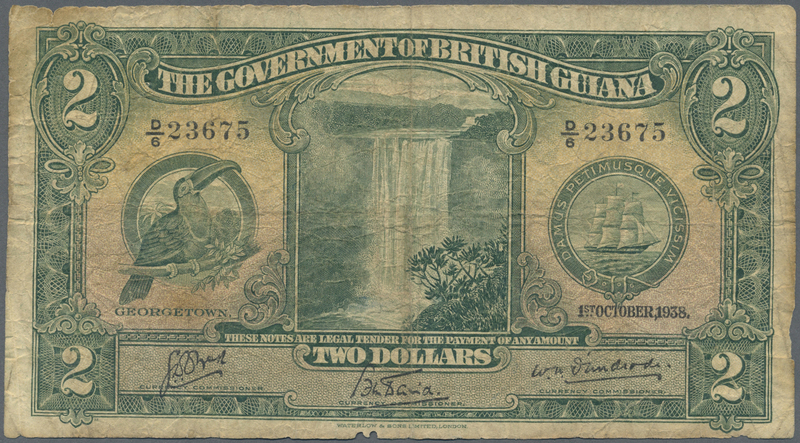 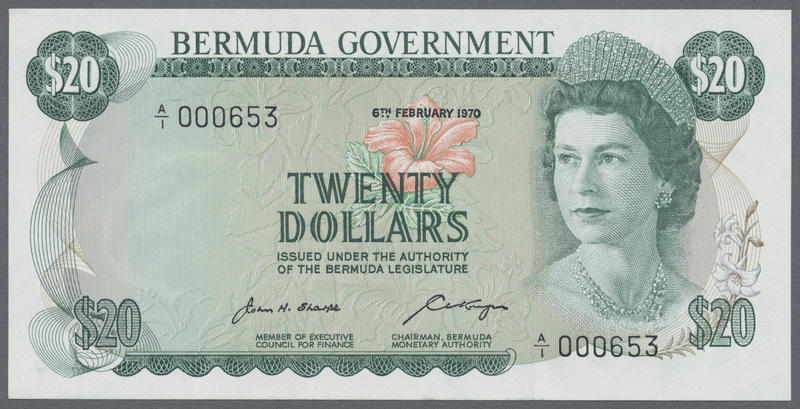 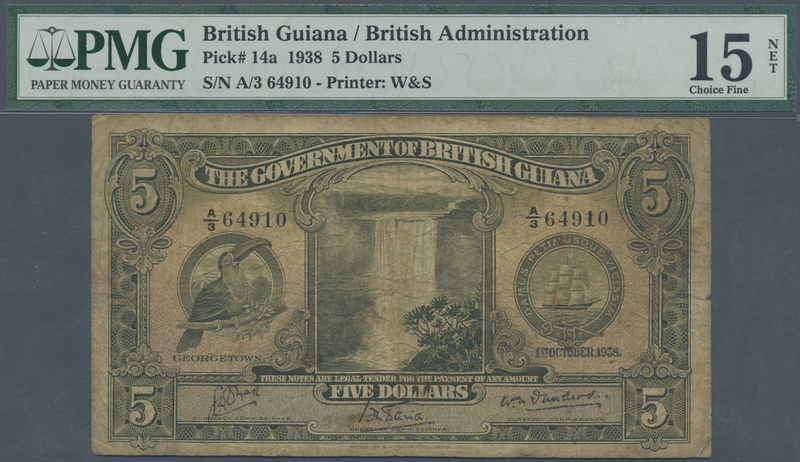 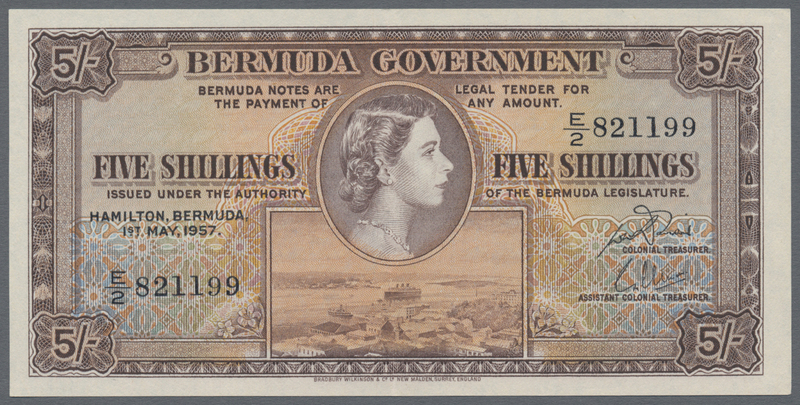 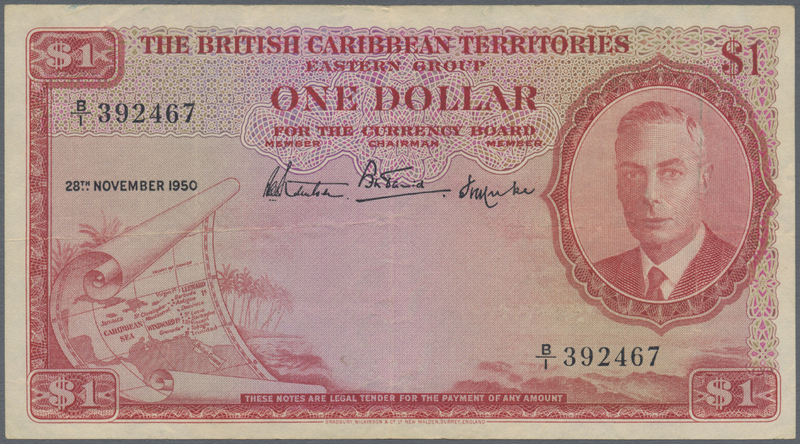 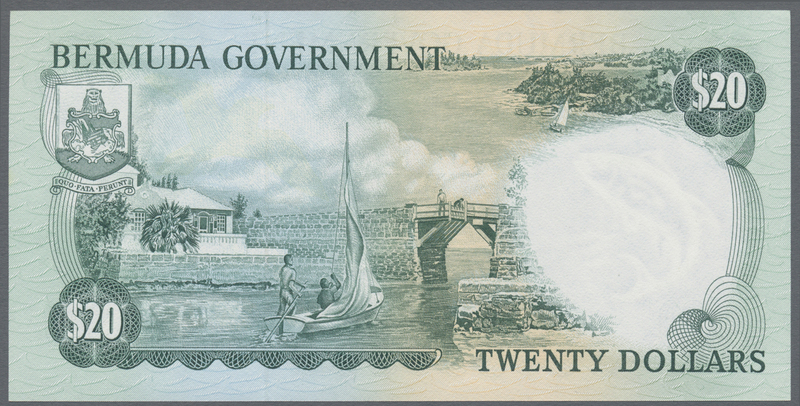 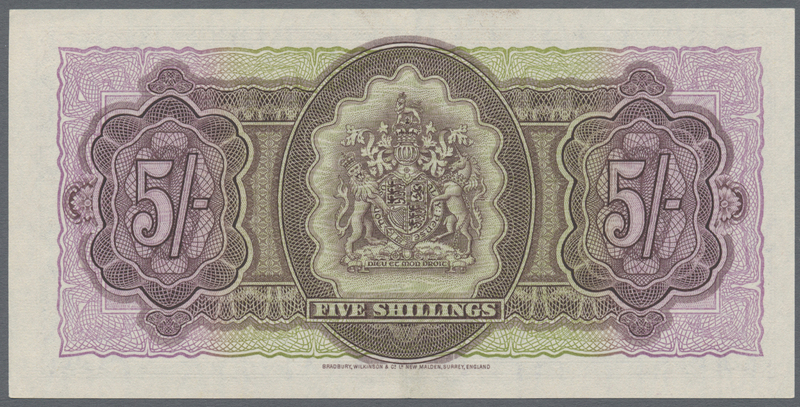 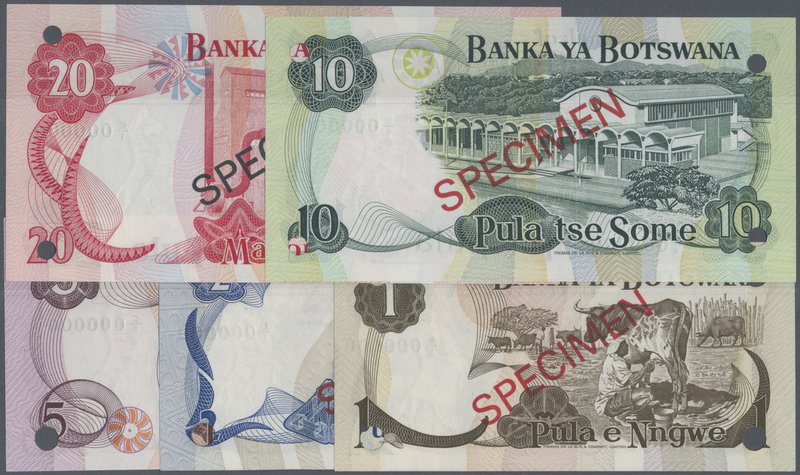 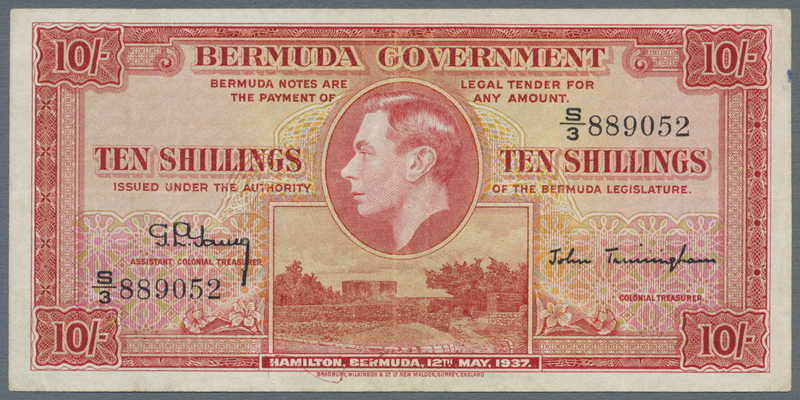 1120 Pick 39a 5 Dollars 1980 P. 39a, QEII at right, strong crisp paper and original colors, no folds, only one handling dint at right, condition: aUNC. 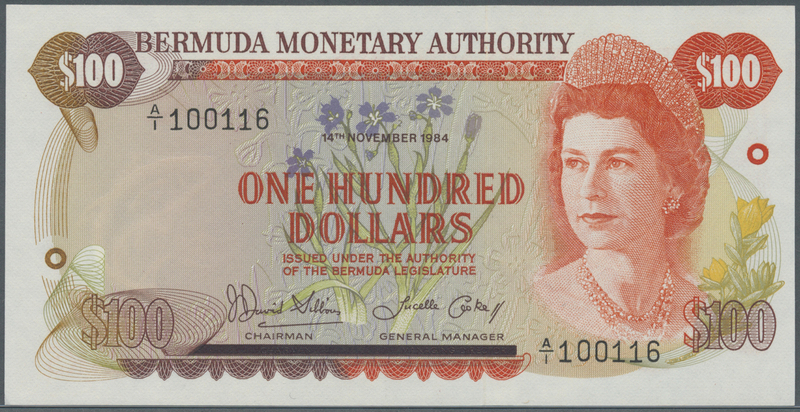 1129 Pick 45r 100 Dollars 1996 P. 45r, replacement note prefix Z/2, in condition: UNC. 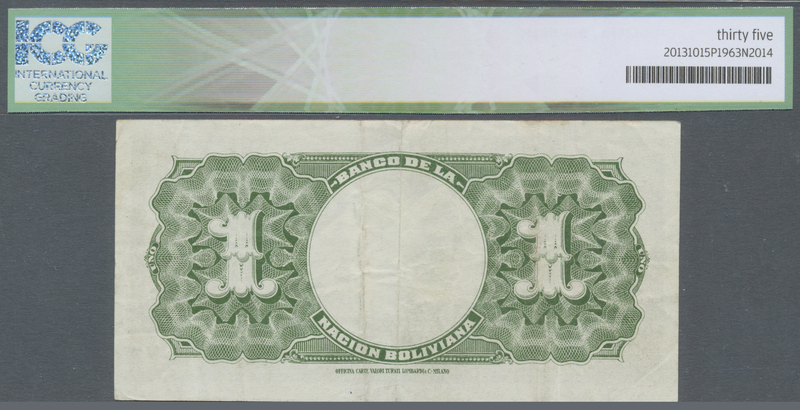 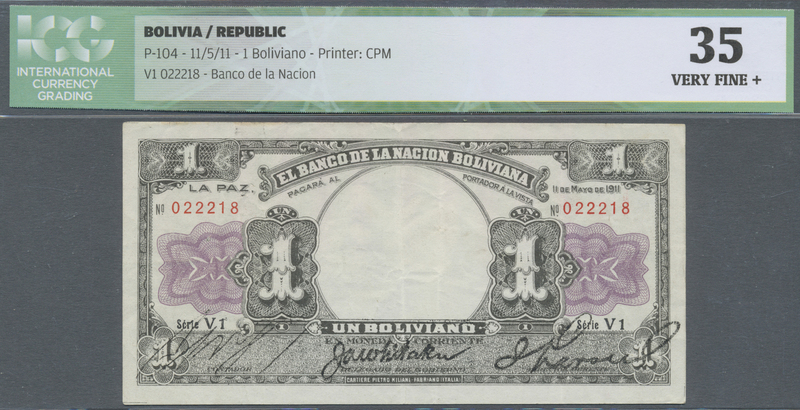 1136 Pick 104 1 Boliviano 1911 P. 104, in condition: ICG graded 35 VF+. 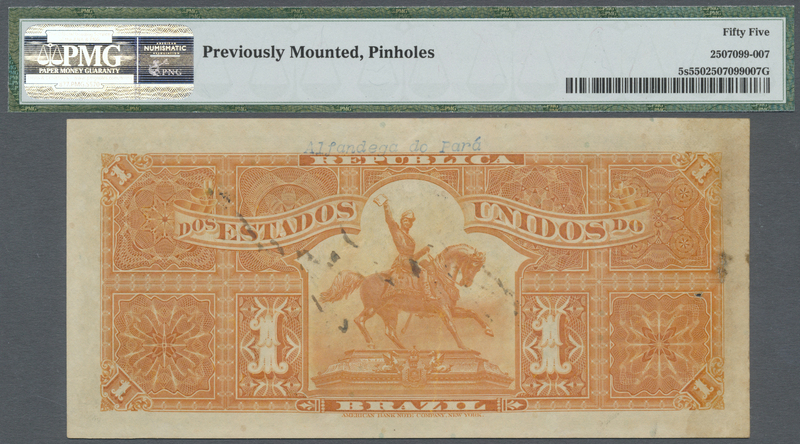 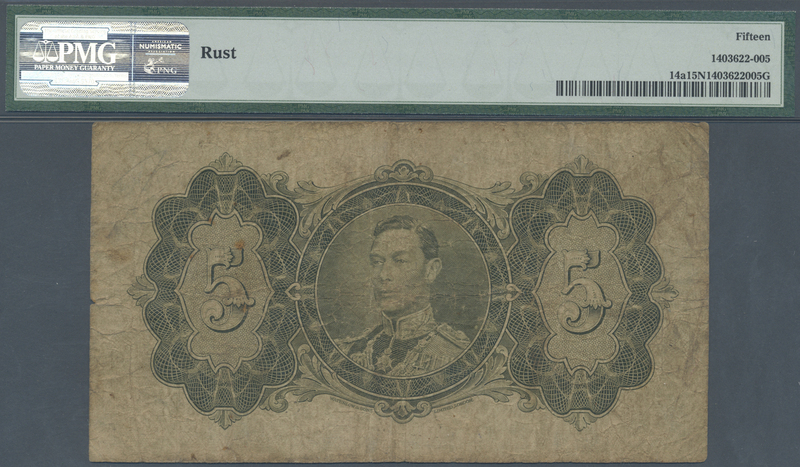 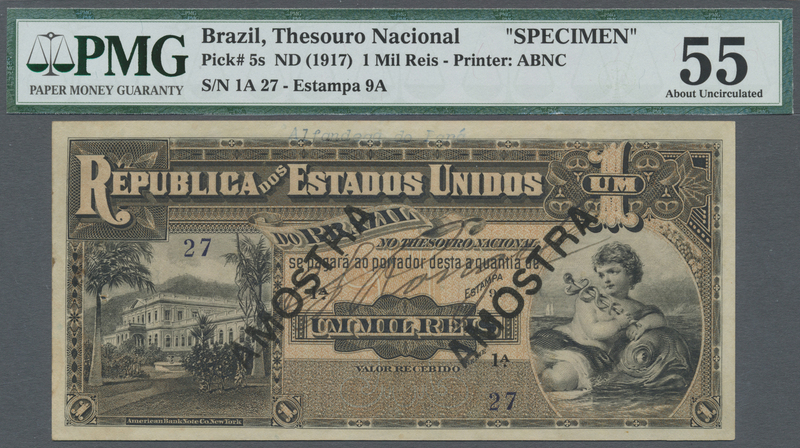 1142 Pick 5s 1 Mil Reis ND(1917) Specimen P. 5s, in condition: PMG graded 55 aUNC. 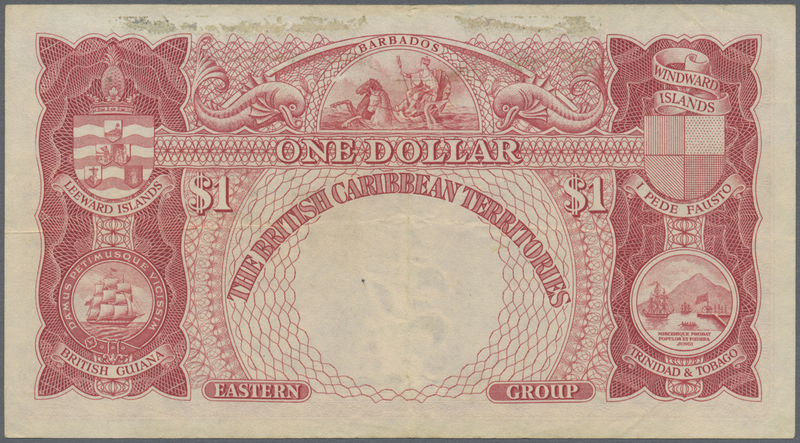 1146 Pick 13b 2 Dollars 1938 P. 13b, seldom seen note in used condition, with several folds and stained paper, no holes, a tiny missing part at lower center, still nice colors, no repairs, as taken from circulation, condition: F.
1147 Pick 14a 5 Dollars 1938 P. 14a, rare note, PMG graded 15 Choice Fine Net.